By using the Site, you hereby declare that you have read, understood and agree to be bound by the Terms and any changes that may be made to them. Tourism reserves the right, at its sole discretion and without prior notice, to update, modify, add or delete any provisions of the Terms. If Tourism makes changes to the Terms, such changes will be effective immediately. The "Last Update" date above indicates to the User when the conditions have been last updated. The User’s continued use of the Site after such date is deemed as an acceptance of the changes to the Terms by the User. The User has full responsibility to verify the Terms and to be aware of any changes that might be made to them. The content, arrangement and layout of the Site, including, but not limited to trademarks, photographs, images, text (as plain text, HTML or PDF) and computer code are the property of Tourism, either by an ownership title or through a license agreement, and may not be copied, imitated, reproduced, displayed, distributed, transmitted, decompiled or used without the written permission of Tourism, which may be withheld at its sole discretion. Any unauthorized use of the content, arrangement or presentation of the Site, computer code, or images or trade marks on the Site or in their possible derivative works may violate civil or criminal laws, including intellectual property laws, and Tourism may take legal action accordingly. The above paragraph applies also to the property of third parties used on the Site, including the computer code of third parties. From time to time, the Site may be unavailable for short periods of time due to maintenance and/or modifications. As we strive to make this downtime as short as possible, Tourism cannot be held responsible for any damage, material or moral, caused by the interruption of the Site’s operations. A “cookie” is a file that is stored in your browser and allows to analyze web traffic. It allows web applications to identify you as an individual. Once you agree, the file is added and the cookie helps analyze web traffic or lets you know when you visit a particular site. Cookies allow web applications to respond to you as an individual. The web application can tailor its operations to your needs, likes and dislikes by gathering and remembering information about your preferences. We use traffic log cookies to identify which pages are being used. This helps us analyze data about web page traffic and improve our website in order to adapt to your needs. Overall, cookies help us provide you with a better website, by enabling us to monitor which pages you visit. A cookie in no way gives us access to your computer or any information about you, other than the data you choose to share with us. You can choose to accept or decline cookies. Most web browsers automatically accept cookies, but you can usually modify your browser setting to decline cookies if you prefer. However, by not accepting cookies, use of the Site may be significantly affected. In no event shall Tourism or our partners, advertisers, agents or sponsors be liable to you or any third party, and by accepting these Terms, you knowingly and expressly waive all rights to seek direct, indirect, incidental, special or consequential damages, and all rights to damages and all rights to multiply or increase damages arising from or in connection with the use of the Site, the content, or any products or services recommended on the Site, even if you have been advised of the possibility of such damages, and regardless of whether the claim is based on contract, tort or other legal or equitable theory. Without limiting the foregoing, you specifically acknowledge and agree that we shall have no liability in the event of (a) any failure of another user of the Site to comply with the code of conduct; (b) injury or property damage of any nature whatsoever, in contract or tort, arising from your access and use of the Site; (c) any unauthorized access or use of our secured servers and/or parts and all personal and/or financial information stored therein; (d) any bugs, viruses, worms, Trojan horses, defects, viral delay devices or other destructive elements that can be transmitted to the Site or through; (e) any errors, inaccuracies or omissions in any content. Your sole and exclusive remedy to express your dissatisfaction with the Site is to stop using it. The limitations in this section apply even if the essential objective of any action has failed. An essential element of the contract between us is based on the allocation of risk between us. The total amount of liability arising from these Terms or use of the Site may not exceed more than one hundred (100) dollars or the amount that you have paid us in over the last twelve months. In any case, the User's attorneys' fees may not be awarded or recovered. The User agrees to defend, indemnify and hold harmless Tourism, its directors, officers, directors, members, employees, affiliates, representatives and partners of all monetary convictions in capital, interest, fees, judicial and extrajudicial costs and any other damages, including without limitation, all reasonable legal costs incurred by Tourism related to any claim, suit or action ("Claim") arising from non-compliance by the User or any other user of your account or these Terms. Tourism reserves the right to participate in the defense of any Claim and to be represented by counsel of its choice. By accepting these Terms, the User agrees to be part of the mailing list constituted by Tourism and authorizes Tourism to communicate with him all information regarding the use of the Site, the products and services offered on the Site, the news and special offers of the Site or event, new surveys and other information deemed relevant by Tourism. At any time, the User may unsubscribe from the Tourism mailing list by contacting us at the following email address info@intothenorth.ca and indicating that he no longer wishes to receive such communications or by following the unsubscribe procedure displayed directly on the communication the User receives. Such unsubscription does not prevent the User from being bound by these Conditions and does not have the effect of unsubscribing you from the mailing list of any partner. By using this Site, the User acknowledges and agrees that the Terms and any claim, suit, action or notice arising from the use of the Site is governed by the laws applicable in the province of Quebec, and by Canadian federal laws that are applicable. The User hereby irrevocably acknowledges and submits to the exclusive jurisdiction of the courts of the Province of Quebec in the city of Chibougamau with respect to all disputes arising out of the Terms and use of the Site. The Conditions of Participation apply to any person wishing to register (hereinafter referred to as the "Participant") for the "treking trip" in the James Bay region located in the province of Quebec, Canada, organized by Tourism, valued at approximately five thousand dollars ($ 5,000) per Participant (hereinafter the "Trip"). The Trip will be for a period of fifteen (15) days beginning on July 14, 2018 and will end on July 29, 2018. The Participant can register to be selected for the Trip by selecting the following link: http://intothenorth.ca/fr/inscription. Complete, without any false statement and truthfully, the registration form. Tourism and its representatives reserve the right to take any measure necessary to ensure compliance with the eligibility conditions mentioned above. The Participant may register for the Trip until February 28th, 2018. Tourism will contact the Preselected Participant for the Trip before April 1st, 2018. A total of twelve (12) Participants will be pre-selected at the sole discretion of Tourism. For this purpose, the Participant must notably but not restrictively respect the conditions of eligibility provided for herein. Once the Participants are pre-selected, the selected Participants will receive a confirmation email and more specific details regarding the final selection will be emailed to the Participants at different times. The final selection of the pre-selected Participants will take place from April 1st, 2018 to April 28th, 2018 in the form of a vote on the Site. The six (6) Participants who have received the most votes will be selected for their participation in the Trip, subject to compliance with the eligibility conditions. The six (6) selected Participants will be contacted via email by Tourism to confirm their selection for the Trip within five (5) days after the end of the vote. Any dispute as to the organization or conduct of a publicity contest may be submitted to the Régie des Alcools, des courses et des jeux du Québec (hereinafter the "Régie") for a ruling. Any litigation respecting the awarding of a prize may be submitted to the Régie only for the purpose of helping the parties reach a settlement. Equipment: The equipment related to the activities is provided by Tourism but the Participant is entirely responsible for bringing his personal belongings that the Participant may need, such as clothes, shoes and backpack. The Participant acknowledges and accepts, given the adventurous nature of the Trip, that he may run some risks due in particular to the distance of the medical centers and the nature of the activities of the Trip. If the circumstances so require, in particular to ensure the safety of the Participant, but also for climatic reasons or unforeseen events, Tourism, its agents or suppliers reserve the right, directly or through its service providers to substitute a means of transportation, accommodation or itinerary by another, as well as the dates or times of the Trip, without the Participant being entitled to compensation. Given the adventurous nature of the Trip, the Participant agrees to comply with the advice and instructions given by Tourism or its representatives and service providers, whom cannot be held responsible for any incident, accident or personal injury that may result from a personal decision of the Participant. The Participant must have a valid passport for the duration of the Trip and for any other period required by Canadian or provincial authorities. He must ensure that he has in his possession, before departure, all the necessary documents in good form, including all required visas, in order to enter Canada legally. The Participant is required at all times during the Trip to comply with local regulations and to comply with local authorities such as police, customs (including those relating to the import or export of objects) or relating to health or immigration. In any case, Tourism cannot replace the individual responsibility of the Participant who is solely responsible for completing the documents and obtaining the required approvals before departure (passport, visa, certificate of good behavior, etc.) and during the Trip. The Participant is solely responsible for any delay caused or costs incurred due to its non-compliance with regulations and/or its inability to present documents in good form. In the event that the Participant must use air transport, the Participant must ensure that he/she understands and reads the legal clauses and conditions related to his/her ticket. Tourism is not responsible for any damage caused by the loss of personal property or luggage or by a delay, a change of schedule or a change of itinerary due to a carrier. During the Participant's travels, the carrier is, in all cases, solely responsible for the damage occurring in the event of loss, theft or deterioration of baggage and delays in delivery. Any complaint concerning this type of incident must be immediately filed with the carrier himself. No claim can be made to Tourism. Tourism uses a large number of suppliers, service providers and intermediaries for the logistics of the Trip. Tourism, acting as an intermediary between, on the one hand, the Participant and, on the other hand, the service providers (carrier, hoteliers, etc.) cannot be held responsible for acts, omissions, negligence, errors of the latter which, in any case, remain responsible. The Participant must ensure that he/she is in good health and in good physical condition in order to be able to complete the entire Trip, bring with him/her the necessary medications and obtain medical insurance including emergency repatriation. In the event that a Participant has a conduct prejudicial to other travelers or participant and continues to have the same conduct despite a formal warning from any authority or Tourism, Tourism reserves the right to exclude this Participant from the Trip, and the Participant shall bear all costs incurred as a result of this exclusion such as accommodation and transportation. Tourism is not liable for any damage suffered by the Participant due to circumstances beyond its control or due to a force majeure, including but not limited to government acts, political and/or religious disturbances, acts of terrorism, earthquake or flood. The itineraries, the places of encampment or lodging, or the modes of transport are subject to modifications or substitutions, such a decision being final and without recourse. It is mandatory to subscribe and maintain in force: (i) medical insurance; and (ii) trip cancellation and interruption insurance to participate in the Trip. There are also different types of insurance that are available to which the Participant could subscribe such as luggage insurance. Tourism does not act as insurer of the risks of the Trip and assumes no expenses or costs in connection with the insurance of a Participant. The Participation Conditions are governed by the laws of Quebec and any claim, suit, action or demand arising from the Trip must be in the courts of the Province of Quebec. The Participant hereby irrevocably acknowledges and submits to the exclusive jurisdiction of the courts of the Province of Quebec in the city of Chibougamau with respect to all disputes arising from the Trip. 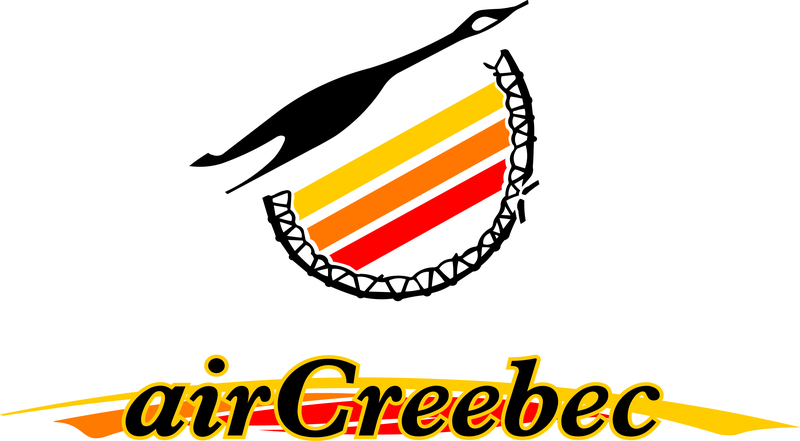 Tourisme Baie-James and Tourisme Eeyou Istchee (hereinafter collectively referred to as "Tourism") is an entity that has as one of its missions to promote the James Bay region. As part of this mission, Tourism is organizing a "treking" type of trip in the James Bay region (hereinafter referred to as the "Activities") to which you have registered (hereinafter the "Participant"). By selecting "signature", the Participant acknowledges and agrees that the Activities proposed or offered by Tourism may constitute a danger and involve both known and unknown risks, which may result in serious injury or even death. These risks include, but are not limited to, the use or not of the equipment, the fitness and/or skills of the Participant, the temperature and/or other environmental conditions and the actions and/or omissions by the Participant. By selecting "signature", the Participant acknowledges and accepts the known and unknown risks related to his/her participation in the Activities and accepts that these risks are inherent in the practice of said Activities. By selecting "signature", the Participant also acknowledges that he participates in the Activities in a free and informed manner, knowingly aware of the potential dangers and risks related to the Activities. The Participant undertakes to read the documents, to carry out any training and to fulfill any other requirements required by Tourism or its agents (from time to time) before participating in the Activities and complying with the regulations or directives in force. As part of the participation of the Participant in the Activities of or organized by Tourism, the Participant acknowledges and accepts that photographs and/or videos of him/her (hereinafter the "Images") are taken by Tourism or its agents, through their representatives and without any form of payment and/or remittance. The Participant hereby assigns all rights in such Images, including a waiver of his moral rights, to the beneficiaries, their representatives, agents, affiliates, customers and assigners, without limiting the generality of the foregoing and thus authorizing the beneficiaries to reproduce, use, archive, modify, for all editorial, advertising or other purposes, on the Internet or any other medium, the said Images, without having to notify the Participant. Therefore, the Participant hereby grants, perpetually and without any time limit, permission to Tourism, its representatives, agents, affiliates, customers and assignees, to use the Images in its publications, on its website, in promotional and marketing tools or any other material, whether computerized or in paper form, without any form of payment or other necessary consent in this respect and gives full and complete clearance in this respect to Tourism, its representatives, agents, affiliates, customers and assignees. The Participant understands and agrees that this Acceptance of risks and assignment and waiver of rights applies and is valid in relation to any potential use of the equipment and/or participation in the Activities. We collect additional information about your online activities. We may collect information about the browser you are using or we may consider which site you are from. You have the option to view and update your personal information by sending an email to info@intothenorth.ca. You can request a removal of the information by sending an email to info@intothenorth.ca. If necessary, personal data linked to this account will be deleted. In doing so, the data relating to orders placed will not be deleted for accounting and statistical reasons. We may retain some of the information disclosed during your registration for analytical purposes as well as for accounting integrity and fraud prevention purposes, collection of required fees, application of the Terms, taking any measure we deem necessary to protect the integrity of our Site or our Users or any other measures permitted by law. In addition, if any of your information has been provided with your consent, to event organizers or to third parties, the use and retention of your information will be subject to the policy of those third parties. We take appropriate security measures, including physical, electronic, and procedural measures to protect your personal information from unauthorized access and disclosure. For example, only our authorized employees can access personal information and can only do so when access to that information is required for authorized administrative functions. We require third parties to whom we disclose your personal information to protect your information in the same manner as we do, to the absolute minimum. Although we take the security measures required by law, no security device is foolproof. Users must always be vigilant in the processing and disclosure of their personal information and must avoid sending their personal information via unsecured email. Information automatically collected: When you visit our Site, we collect information from your browser. For example, it may include your IP address, the type and the language of your computer, access times, the content of any undeleted witness that your browser has accepted from us (see "Cookies” section of the Terms) and the addresses of the Websites from which you have been redirected to our Site.